Forget stacks of paper brochures, ugly decals and brittle, flimsy paper bags. Save the trees and give your target audience something useful, lasting and visible. Bring your marketing efforts a step further by turning your target audience into carriers of your brand name. Reduce your company's carbon footprint by substituting conventional marketing tools with eco-friendly bags. These bags are the one-size-fits-all solution to your marketing needs. Efficient and cheap to produce, the affordable production and material costs couple with their durability and attractiveness to make eco-friendly bags a winning combination in replacing those outdated branding tools. Our Non-woven Bags come in an impressive array of designs, sizes and colours to present your branding message to the public the best way possible: Your way. Made from entangled plastic fibres that are fused thermally, non-woven fabric is strong, durable and able to withstand heavy weight, yet lightweight enough for temporary use. It's also cheap, fast to produce and competitively priced to laminated paper. Most importantly, it's 100% recyclable. Printing options include silkscreen printing, heat-transfer and full colour lamination. Find out more on what our Non-woven Bags can do for your organisation. Contact us for some advice and a free quotation. Durable and waterproof, our polyester and nylon bags are made for medium to long term usage. The strength and integrity of the material translates into a longer period of exposure for your brand and greater coverage. 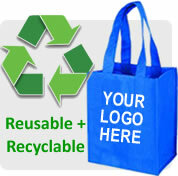 Want a tough nylon or polyester bag to carry your branding message? Contact us for our advice and a free quotation. For a more traditional eco-friendly bag, consider our cotton bags. These bags have been promoted as a substitute for plastic and paper bags since the beginning of the environmentalist movement. Cotton, the world's most widely used natural fibre, is also an easily renewable natural resource and is biodegradable. Contact us to know more about our cotton bags and to get a free quotation. Colorslink's Polypropylene (PP) Woven Bags are coated with a layer of propylene-based elastomers, which can be tailored to meet the functional requirements of end-use applications, which include cement sacks and pet food bags. These elastomers allow for less material to be used, hence lighter and more cost-effective bags. Contact us to learn more about what propylene-based elastomers can do for your bag. When we say that these are Recycled Polyethylene terephthalate (RPET) bags, we do mean that the fabric is made from recycled plastic drink bottles and containers. RPET bags take on the durable and lightweight properties of their predecessors. By using RPET bags, you're supporting the recycling of PET waste and directly helping to reduce the amount of pollution caused by the dumping of such non-biodegradable waste. Turn trash into marketing treasure by using RPET bags to further your branding efforts. Contact us to find out how, or for a free quotation. The bag which stores hot and cold products for long hours to woven and non woven bags, these recycle bags come in trendy design, size and materials. Each catered to suit your individual taste and needs. Contact us to find out more about our new range of chiller bags. One up your non-woven bags to another level with our Laminated Non-woven Bags. The waterproof matte or gloss finishing seals in the colour of your artwork for long-lasting vibrancy. Contact us to find out how much more lamination can do for your bag. Each PP Woven Laminated Bag is similar in construction to a PP Woven, but has an additional layer of laminated print to better preserve the vivid colours of your design and fortify the bag's strength. These bags are also water-resistant and very durable. Contact us to find out which bag option best suits you. Giving away business gifts or door gifts as part of an overall marketing strategy, it can be a wonderful addition to any business program, a good corporate gift should be a thoughtful token of appreciation for the recipient, and should ideally also be useful. We can do customisation of design and material, we are also sourcing for corporate gift and business promotional supplies of most gift products but subjective to the minimum order quantity and the mould charge depending on the complexity of the products. Please feel to contact us should you have any enquiry.